Universal Electronics, Ltd. of Hong Kong was started by a former Yashica employee (T.M. Lee/ Lee Ting-mo). In 1969 it was selling electronic components and making electronic flash units. The name HOLGA, was supposedly derived from the Cantonese, pronunciation of the the characters for "very bright" that appeared on some flash units. The 120S (S for standard) is the original and most basic of the Holga models. At first look it is similar to the 120N and later models but it lack some of the basic features if that is possible. For example there is no thread mount for a tripod. There is only a 6X4.5 mask. 6X6 can be shot by removing the mask and was a common modification. The aperture selection is limited to Sun or Cloud, but the truth is the lever does not do anything anyway. My 120S has seen some use. Where the non-functioning aperture selection should be, there is a hole. I don't know if the prior owner was trying to "fix it", modify it, it fell off or they just got frustrated and broke it off. No matter, gaffer tape to the rescue. The film mask was missing. Also a common modification to allow you to shoot 6x6 format. I taped the sharp rail edges and moved on. I ended up with several unintended double (or more) exposures. Some were interesting some just a mess. This body had plenty of light leaks. 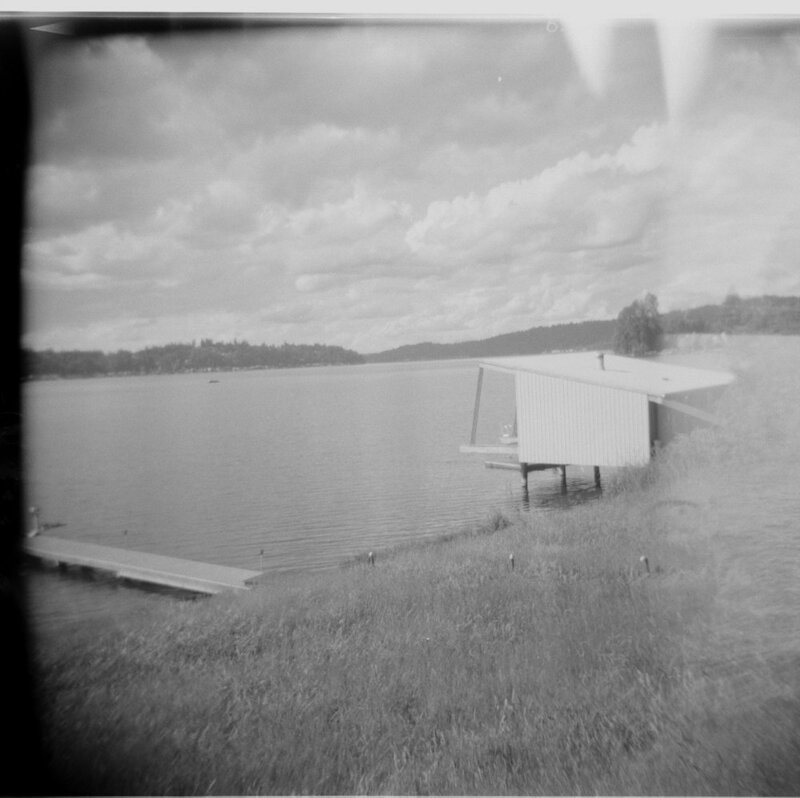 The last image really shows the toy camera quality of the plastic lens and why people love (or hate) the Holga 120. Should you get a 120 S over one of the more recent models? I think each Holga is so unique that you should just find the ones you find and test them out. Or stay away and don't get sucked in the the plastic cult. It may be too late for me, I like the uncertainty of the process.